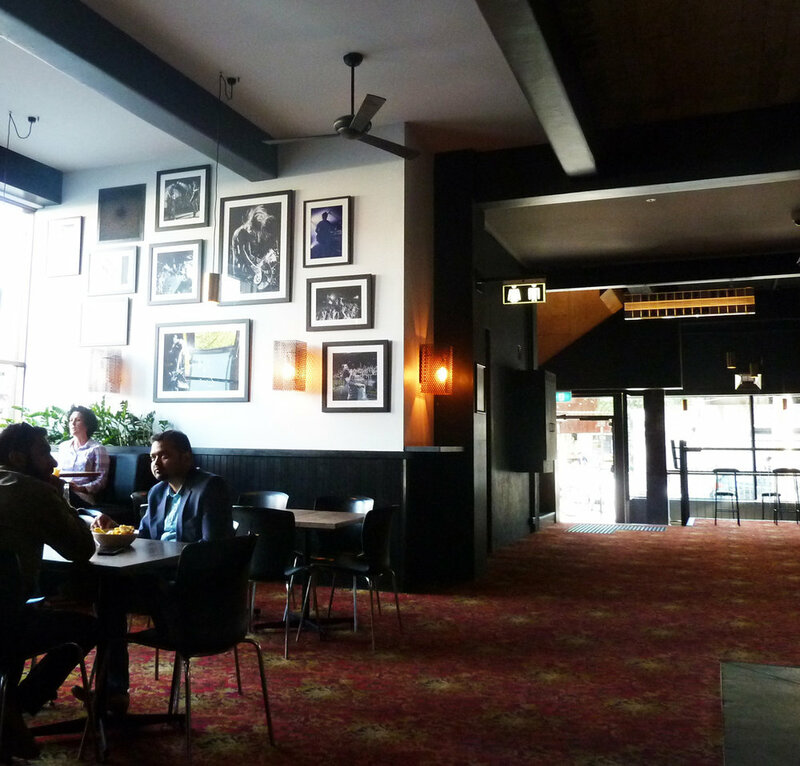 There’s some big love for the Corner Hotel. It’s a recognised live-music heavy-weight and has one of Melbourne’s better accessible rooftop bars. Although the rooftop is split-level (the bar/dining area is separated by a step from the bar-stool area) a ramp along the northern wall joins the two, making the whole space wheelchair-friendly. The rooftop has an industrial, timber-meets-metal vibe, and it’s at its best when the sun is pouring in. The solid menu is modern Australian and there are vegetarian options. Prices may seem a bit steep but sizes are generous. Downstairs at the Corner is a no-fuss pub favoured by barflies. Walls are plastered with gig posters and there’s a pool table with ample room. Sydneysiders ‘Fra’ and Todd are there playing pool when we visit, and say they’re appreciative of Melbourne hospitality – at the Corner and everywhere else. They say there’s more time for people and a slower, better pace to life. Sinking beers and billiard balls on a sunny afternoon? It’s hard not to be grateful. Update: We checked out the famous band room. Aside from the gig - which was funk & soul with a lot of heart - it was fairly easy to get around for a live music venue. You’ll still need to head upstairs for the accessible toilet. Melbourne crowds are pretty good when it comes to allowing wheelchair users through. Be patient and polite. And don’t wear your best white pants. Good: The entire rooftop area is accessible and there is low seating. Not so: Enter via Botherambo St – use the buzzer.